Marion was born March 23, 1923, to Adolph C. "Bart" Homan and Mary Louise (Fletcher) Homan in Menasha. She graduated from Menasha High School in 1940, and from the University of Wisconsin Madison in 1944. In 1946 Marion received her Master's in Physical Education from the University of Illinois Urbana. She taught at Streator, IL, Neenah High School, and finished her career at Fox Valley Lutheran High School. Marion married Alfred H. Zellmer in Rockford IL on September 10, 1949. They lived and farmed on the Zellmer homestead near Zittau, WI. She was a homemaker and raised four children, before returning to teaching. Marion and Al faithfully attended St. Peter Ev. Lutheran Church near their farm, where Marion taught Sunday School and was a member of the Ladies Aid Society. An avid swimmer, Marion gave lessons to the local children, and volunteered as a life guard at Camp Bird near Crivitz. In 1970, Marion and Alfred moved to their home on Lake Poygan, where she lived until 2016. Survivors include her four children, Susan Vernon, of Duluth, MN; Tom (Ruth) Zellmer, of Menasha, WI; Roger Zellmer, of Larsen, WI, and Mary Kay (David) Hale, of Larsen, WI. She is also survived by a sister-in-law, Darlene Homan. 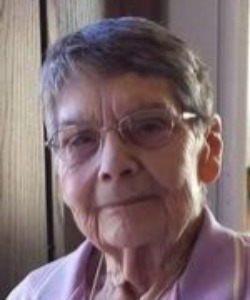 She is further survived by twelve grandchildren, Joel Vernon and Janette (Jake) Shaw; Andrea Zellmer, Colleen (Felix) Linares, Cody, McKayla, and Justin Zellmer; August, Eben, and Gretta Zellmer; and Miles Peterson and Jared (Roxanne) Peterson; nieces and nephews, Barb Zellmer, Doug (Jan) Zellmer, Jennifer (John) Mischler, and Jeff (Sue) Homan; along with six great-grandchildren complete her extended family. Along with her parents and husband, Marion was preceded in death by brothers, John and Bob Homan; and brothers-in-law and sisters-in-law, Lewis and Ella Zellmer, and Norman and Gertrude McCormick. A private family visitation and funeral service will be held and Marion will be interred next to her husband at the St. Peter Cemetery Association #2, Larsen. Memorials will benefit Fox Valley Lutheran High School. The family extends thanks to the staff at Garden View Assisted Living for Marion's care. My condolences to your family in the loss of such a kind hearted woman. I was one of the CNA's who took care of Al when he was at Vallhaven so many years ago and the kindness that she showed to me and many others was amazing. And the love she had for Al was truly beautiful to see to everyday that she was there by his side. What a wonderful woman she was. She touched my heart and I will never forget her. Sue,Tom,Roger and Mary Kay, read today of your mom's passing. Sending prayers for your sadness. Your Mom was a wonderful person and I know you'll miss her forever. Yesterday was 25 years ago we lost Dad and sometimes it seems like he's still around. Love to you all from Tennessee. Our deepest sympathies to the family. We have fond memories of your mother throughout all the years at the lake. She was a special lady and touched so many lives. Thoughts and prayers are with you. Oh what memories you have to share about this God fearing woman! Dennis remembers her being instrumental in starting girls basketball at FVL. As a Phy Ed teacher, she brought the girls GAA into the classroom! She always had a great smile and made you feel welcome in her home with inviting picnics. May God grant you peace and comfort during this time. Zellmer family, we are so sorry for your loss. Your Mother will be dearly missed. We know how hard it is to lose your parent. Cherish your memories and know that she is in heaven. We will pray for you all through this difficult time. Our deepest sympathy to the family. Our thoughts & prayers are with you! Our deepest sympathies to the family. It is with fond memories that we remember the years that Marion was at FVL - she was a very special person with a wonderful personality. She and Al were very sharing people - pleasant times when they hosted faculty at the lake. She is enjoying blessings in heaven. Rejoice. Thoughtfully remembering a very kind lady who not only was a teacher of mine at FVL, but a friend. We had a special connection as I lived in Readfield at the time! May your earthly sadness be overshadowed by the heavenly joy she now has with her Lord. Our deepest sympathy. She was a very special lady! We will never forget all the good times at the lake.